UNESCO, the Thelonious Monk Institute of Jazz and the Republic of Turkey join together to celebrate jazz as a universal language of freedom. JazzCorner.com is proud to be associated with this celebratory event for the 2nd consecutive year with a new website:Jazzday.com where you can register your events, follow and share the latest news, view the webcast, and be part of this history making event! Held every year on April 30th, International Jazz Day brings together communities, schools and groups from across the world to celebrate jazz, and highlights its important role as a form of communication that transcends differences. In partnership with the Thelonious Monk Institute of Jazz, of which Herbie Hancock is Chairman, International Jazz Day was adopted by UNESCO Member States on the initiative of UNESCO Goodwill Ambassador Herbie Hancock, in order to encourage and highlight jazz’s unique power for advancing intercultural dialogue and understanding across the world. International Jazz Day is recognized on the official calendars of UNESCO and the United Nations. Its programs and events will be coordinated with all 195 Member States of UNESCO. Celebrations in Istanbul will kick off with a special early morning performance for high school students conducted by Herbie Hancock, Wayne Shorter and others. and other special guests to be announced in the weeks ahead. Dating back to the 4th century, the Hagia Irene, located in the outer courtyard of Topkapi Palace – a UNESCO World Heritage Site – is regarded as an international treasure for music lovers because of its brilliant atmosphere and enchanting acoustics. The concert will be streamed live on the internet via Jazzday.com, Thelonious Monk Institute of Jazz, UNESCO and U.S. State Department websites, and will be taped for future broadcast on public television stations around the world. To date, nearly 80 events have been organized in more than 30 countries, including Argentina, Australia, the Republic of Korea, France, Gabon, Malaysia and Trinidad and Tobago. In Armenia, the Municipality of Yerevan is organizing an open-air concert and will introduce jazz history and jazz performance in several schools around Yerevan. In Mexico, more than ten jazz concerts are scheduled throughout the country. Denmark will host “Jazz as a Verb” in Copenhagen, a day seminar and evening concert for both Danish and international musicians. In India, Jazz Goa in will celebrate the Day with a mega event featuring jazz artists from all over the world. In Swaziland, a special program “Jazz across Borders and Cultures” will include workshops, jam sessions, and concerts over three days. Additional events are being confirmed each day. After the success of last year’s educational week for 10 young jazz musicians from 5 EU countries, the event was repeated this year and I had again the pleasure to be part of one of the sessions about the music industry and the major labels. The mix of performance related teaching and talks about every aspect of the music business should make it easier for these musicians to control their careers. 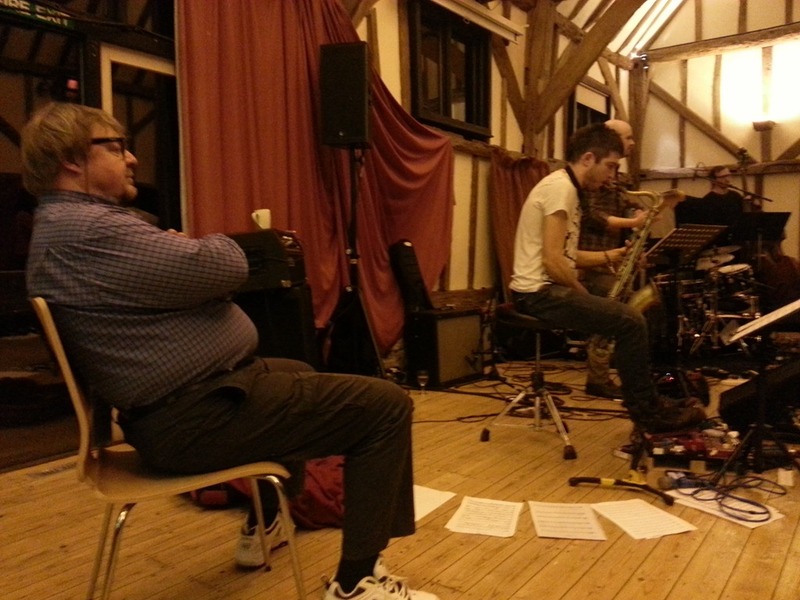 From preparing to go onstage in the best frame of mind to music workshops under the experienced guidance of John Surman, the week was an intense education for the 10 artists. And from the way questions were asked and conversations conducted, one could see that they all tried to make the best of this week. The result of the John Surman supervised music sessions, all 10 musicians had a to bring one compositions to be performed by the group under the lead of the composer, will be some concert dates in all participating countries throughout 2013 – I will for sure go and see them in Rotterdam at the North Sea Jazz Festival. From the 2 music sessions I attended, it was clear that all musicians were able to play on a very high level, as well as having no problem in working within and for the ensemble. 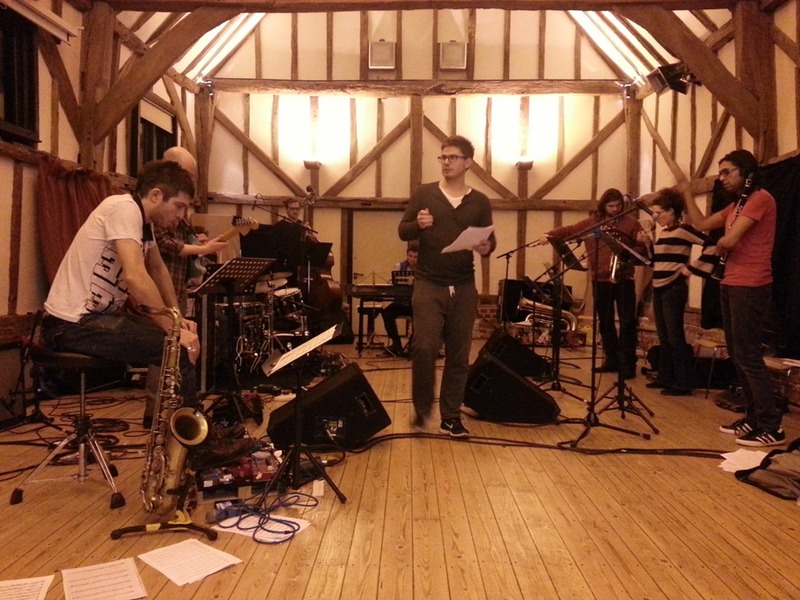 After just three days they already sounded like one …Can’t wait to hear them after a few more rehearsals. Take Five Europe for me is an exemplary event giving two handful of young musicians a great platform to move forward from in their careers.